From Goodreads: Madison Kasparkova always thought she understood how Karma works. Do good things and you'll be rewarded, do something bad and Karma will make sure you get what you deserve. On the basis of reading 52 Reasons to Hate my Father I purchased both this and My Life Undecided – and I love them both just as much. I really am a massive fan of her books! I found this a really fun book to read. 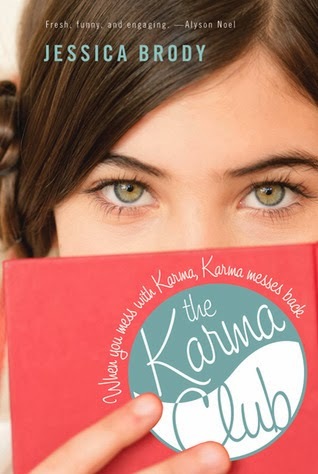 I liked the main characters and the whole concept of The Karma Club (although I was waiting for it all to backfire!) Maddie was sweet – maybe a bit shallow to begin with – but she does grow in this and I liked her. Her best friends are great too! Plus I loved the romance element of the book – Jessica Brody is brilliant at that! A quick and super fun read – with a good message too.